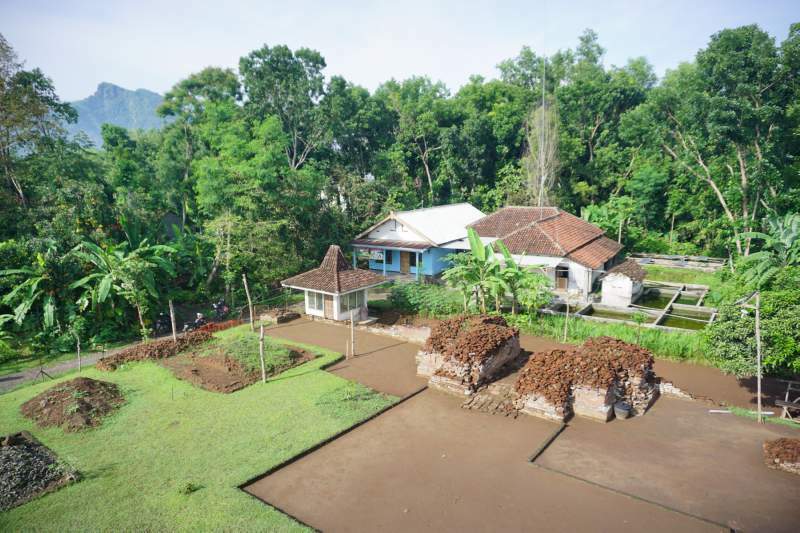 high-definition creative commons photographs of Candis Sanggrahan, Boyolangu, Simping, Plumangan from the Blitar-Tulungagung Districts, East Java together with further information. 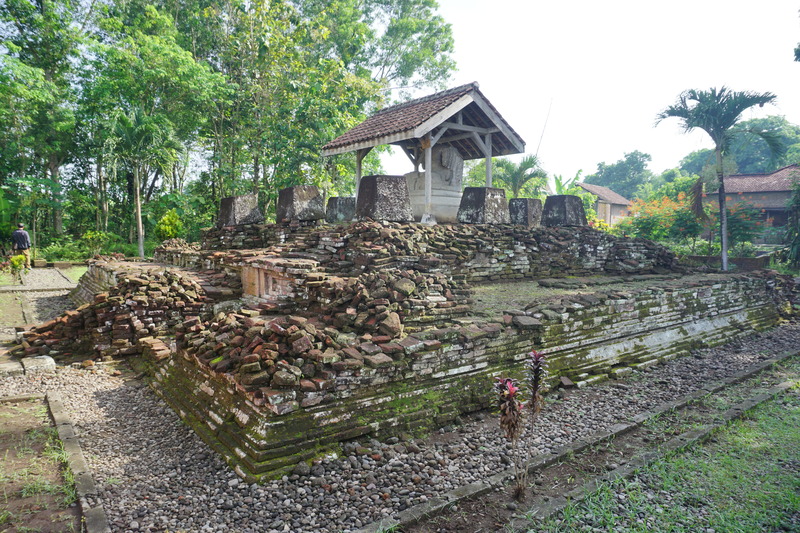 This is a recently restored Hindu-Buddhist temple from Sanggrahan village, about 5km south-west of Tulungagung. 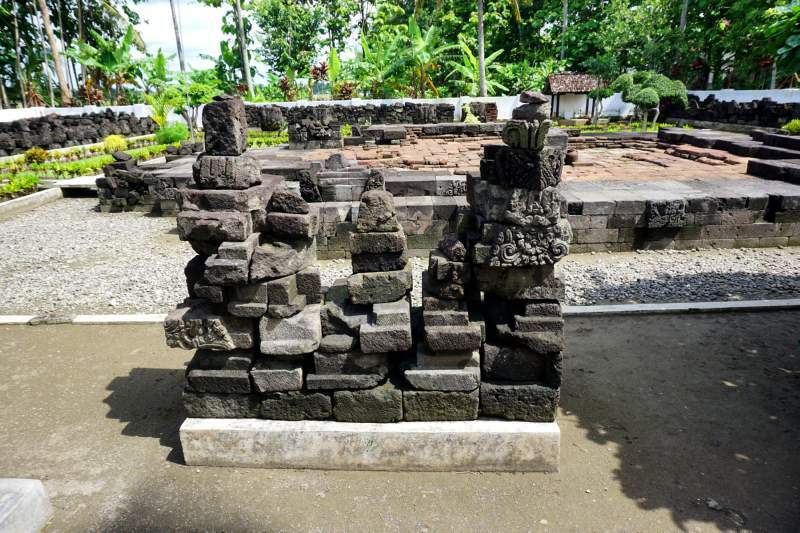 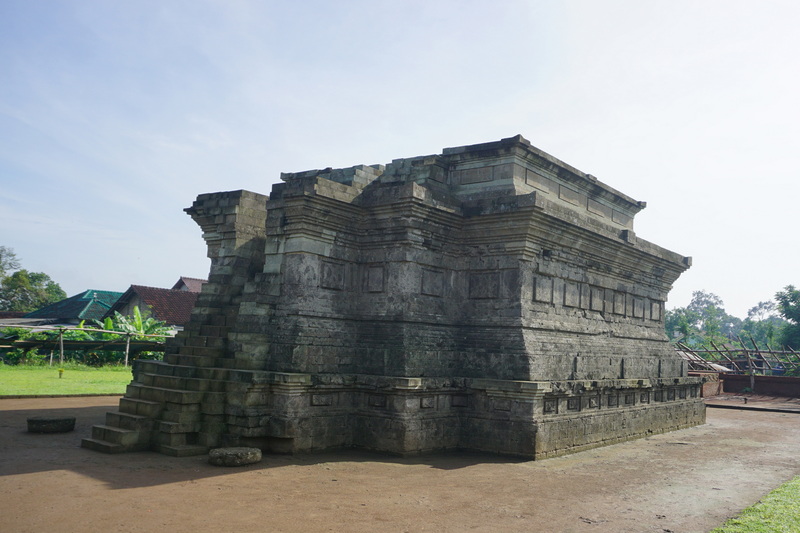 The candi is incomplete, but has been rebuilt of 3 levels, and is fairly well constructed, having a brick structure inside, faced with andesite stone on the exterior. 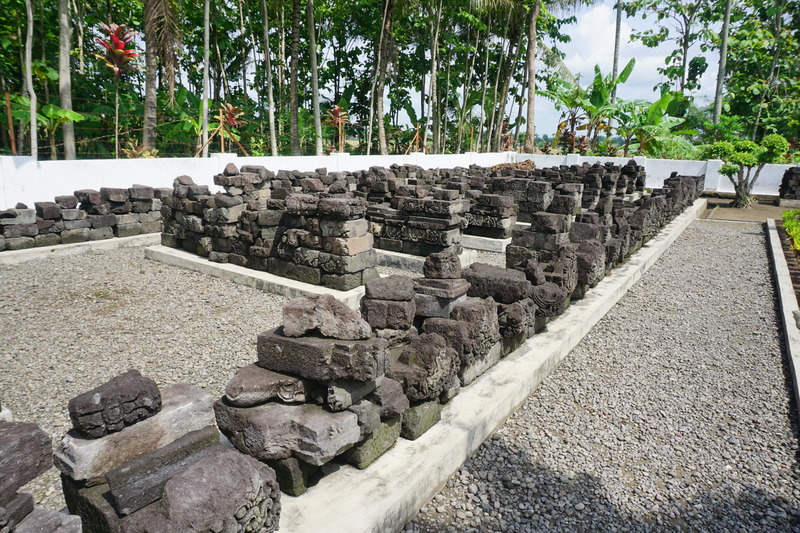 The building is around 12m sq. 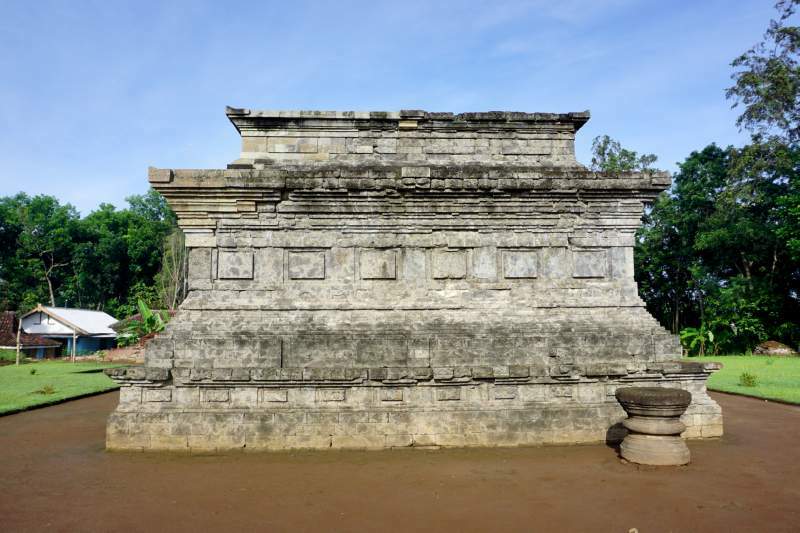 at the base, and over 2m high, and the entrance is on the west. 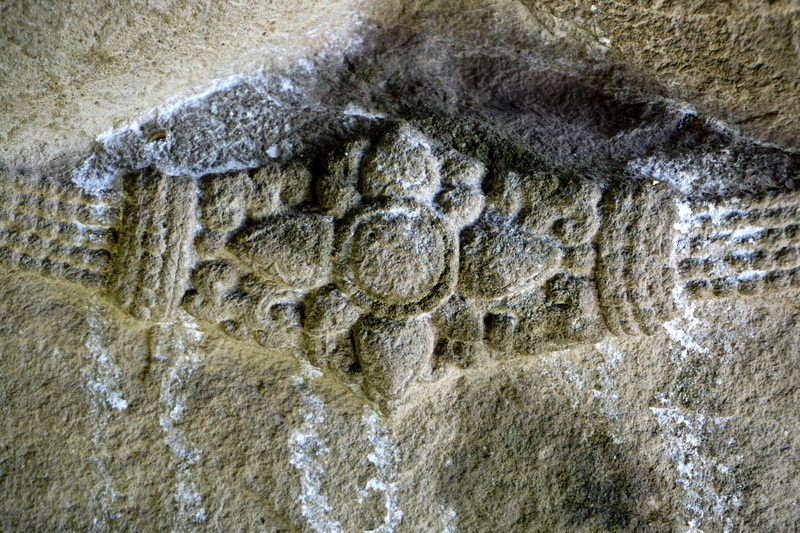 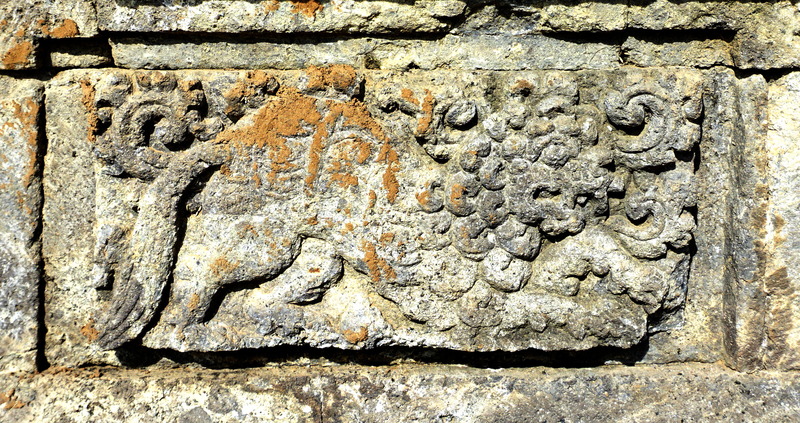 It has some animal reliefs around the base, but little other relief or sculpture work. There are a number of other brick candis around the site, including the remains of a gateway (gopura) to the west. 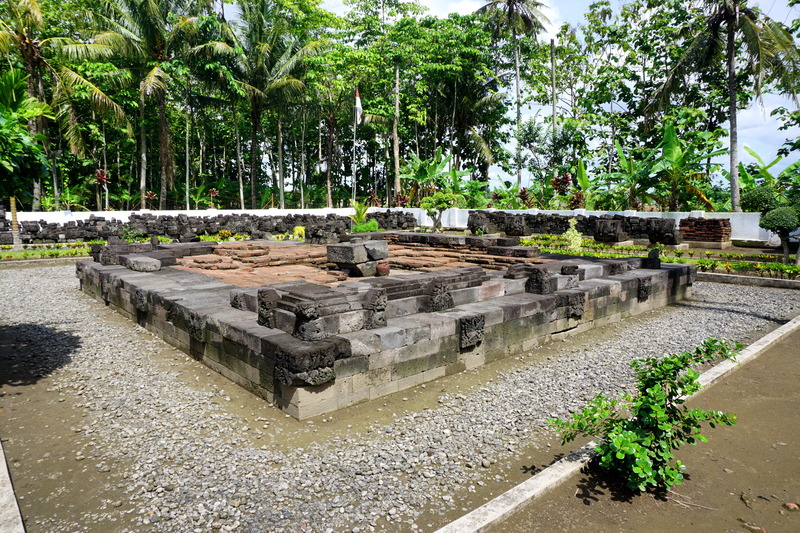 A partly reconstructed candi in Boyolangu village around 3km west of Candi Sanggrahan. 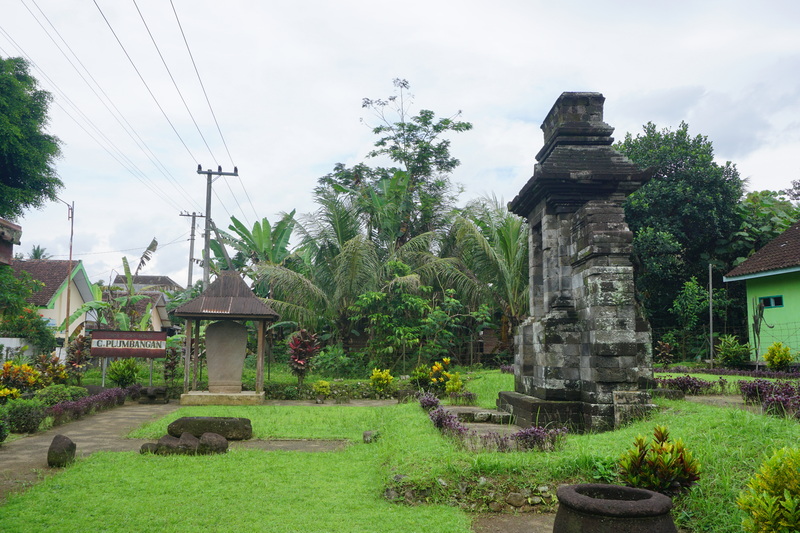 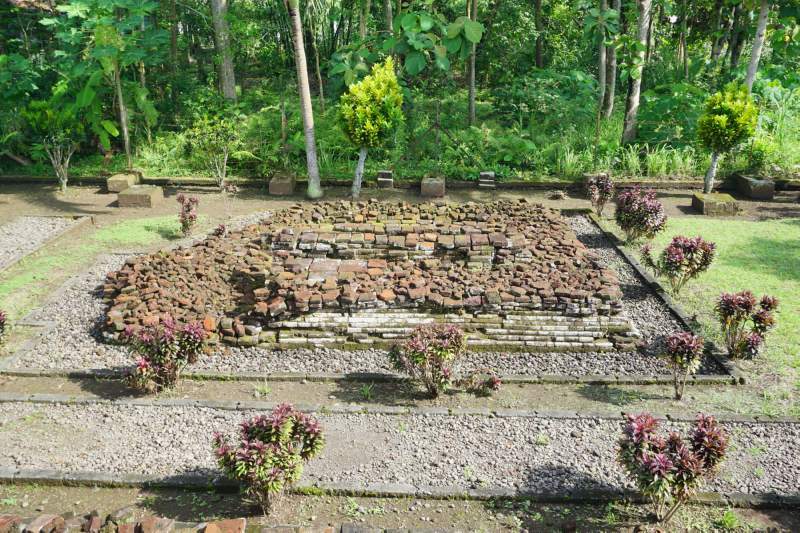 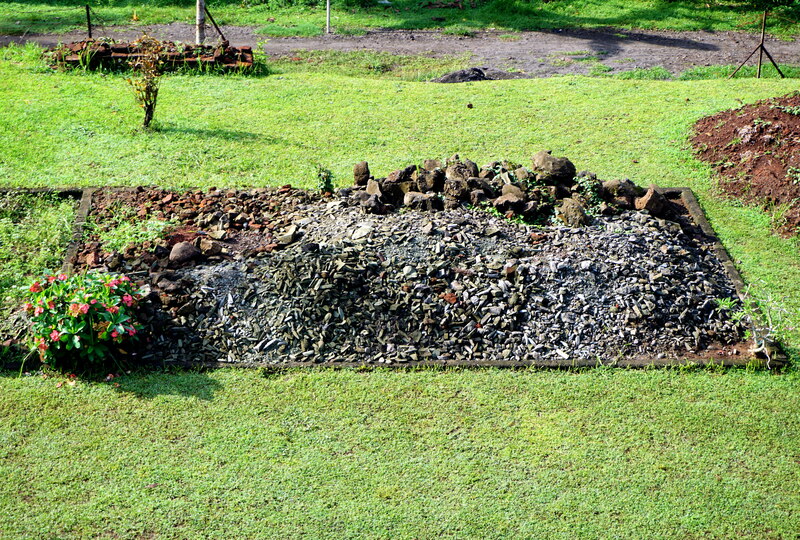 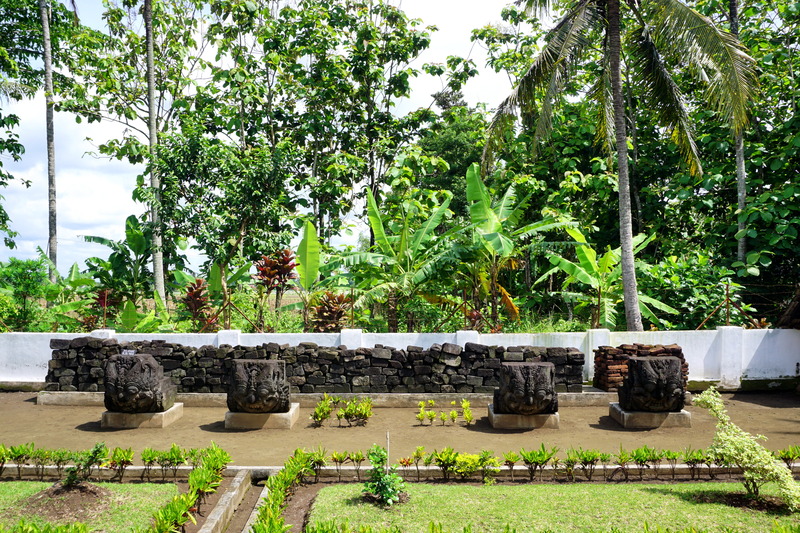 The remains are mainly known for the statue of Gayatri, a queen of the Majapahit kingdom. 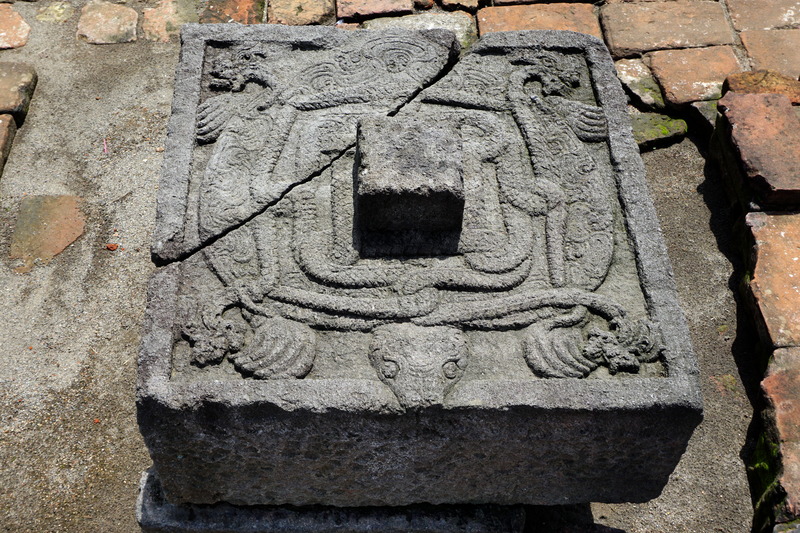 It is still in place, but with its head broken of. 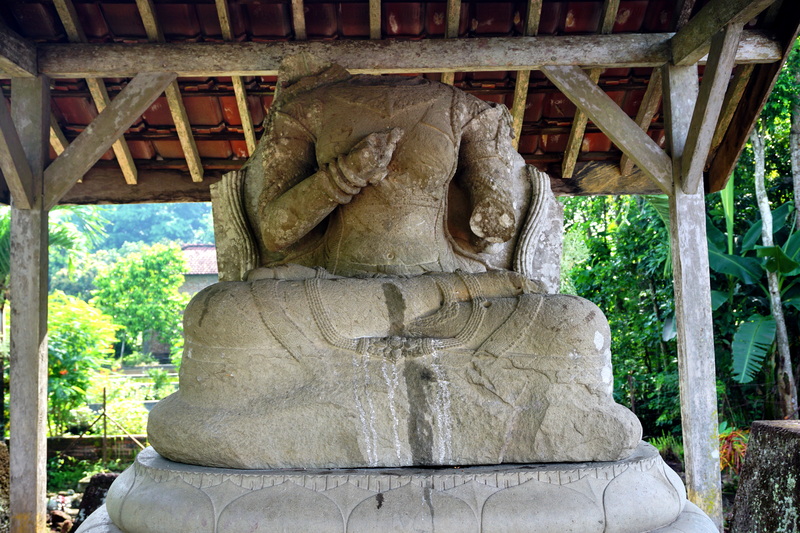 It presently stands at around 120cm high. 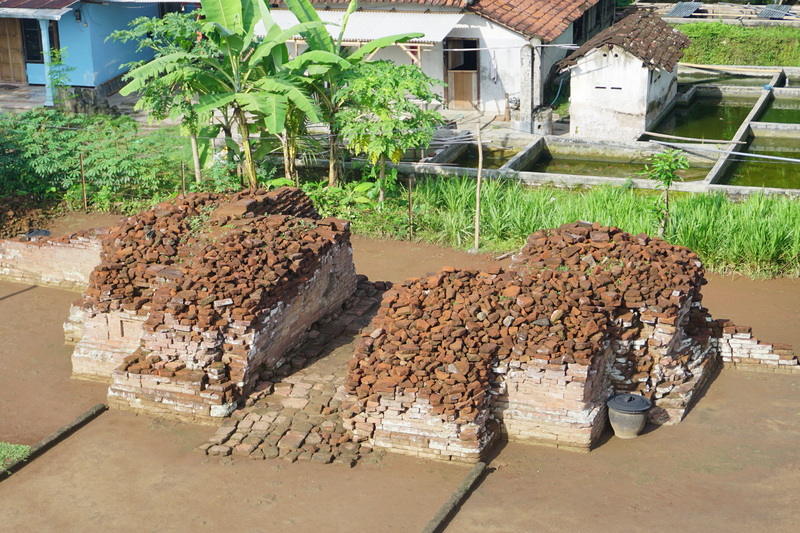 There are also a couple of brick-built perwaras, also partly reconstructed. 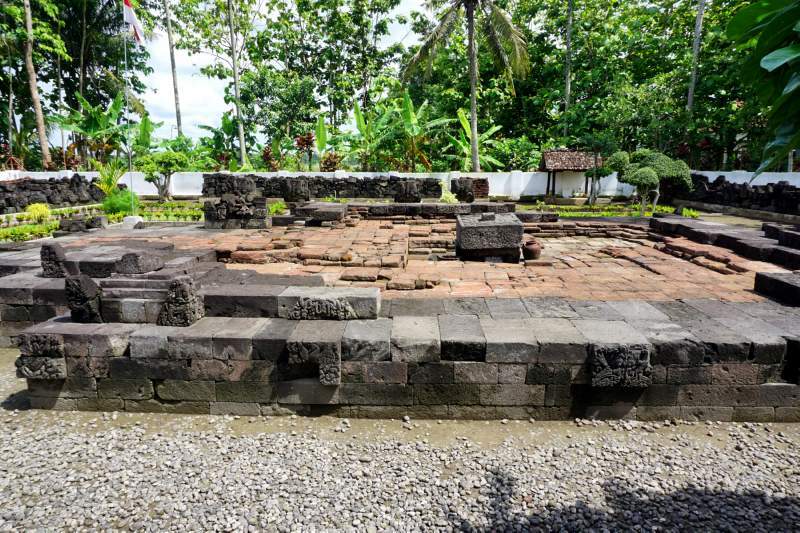 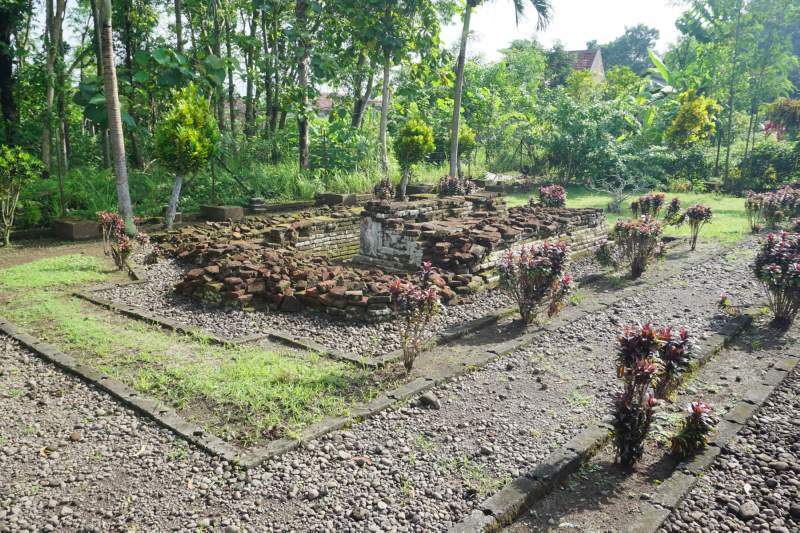 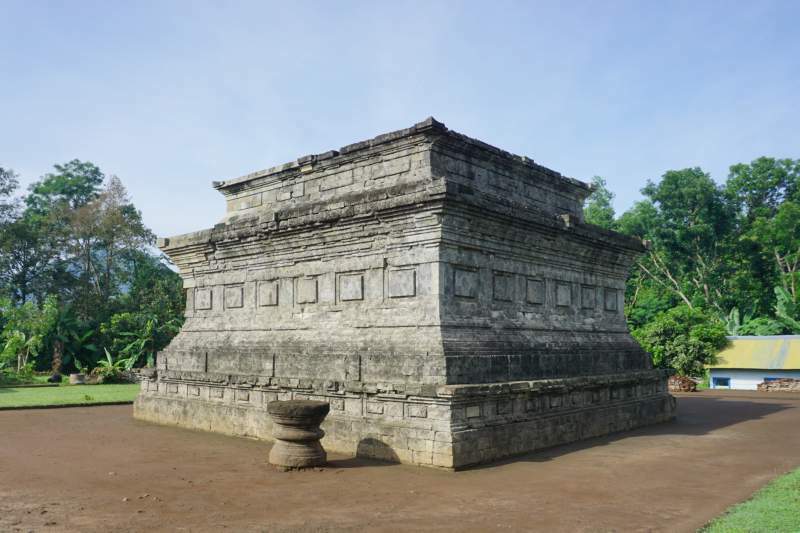 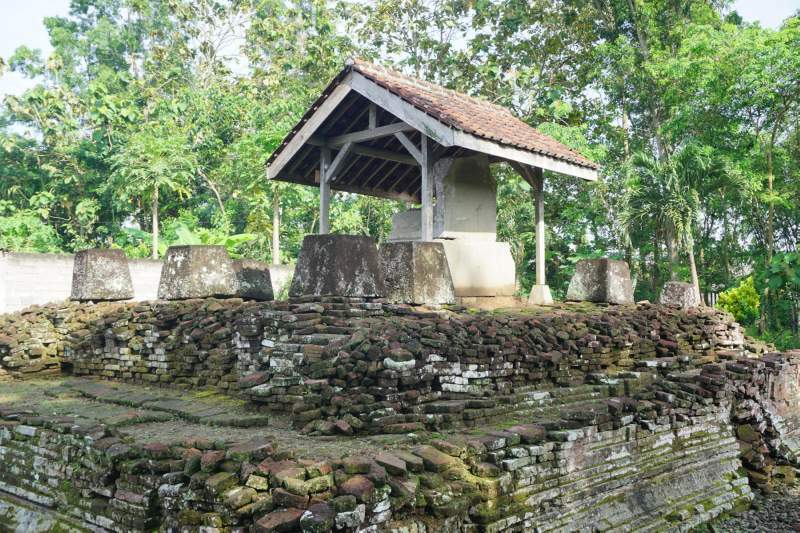 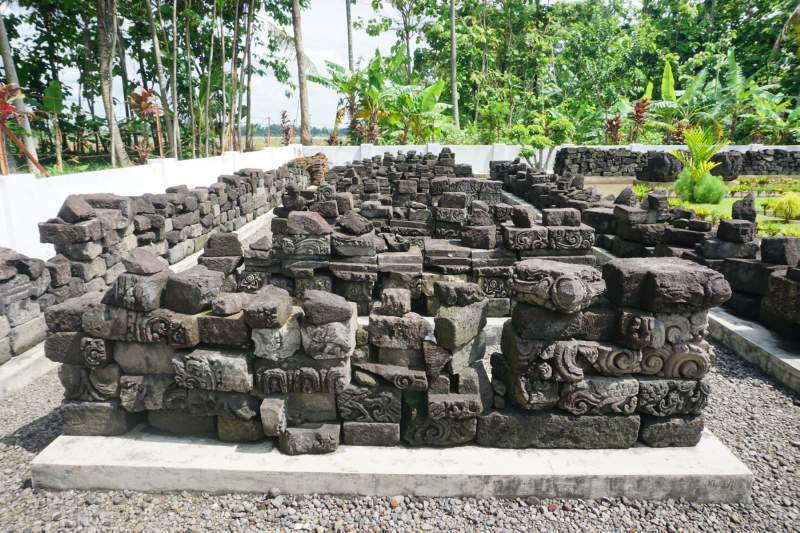 This complex, also known as Candi Sumberjati, is around 8km south of Blitar, most of the temple, which appears to have been slim and high, is now collected around the foundation, which is all that has been reconstructed. 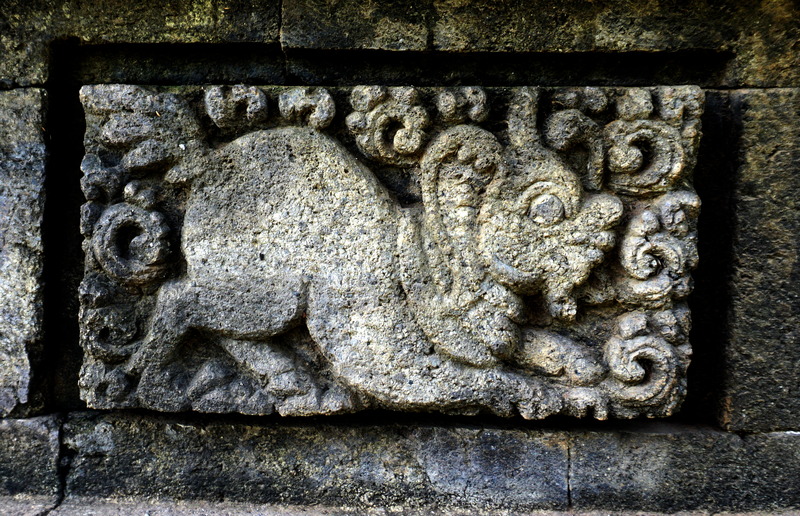 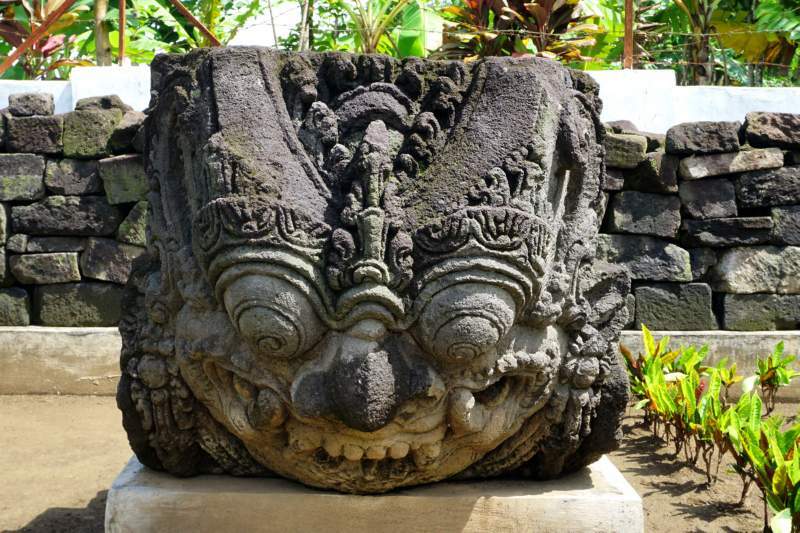 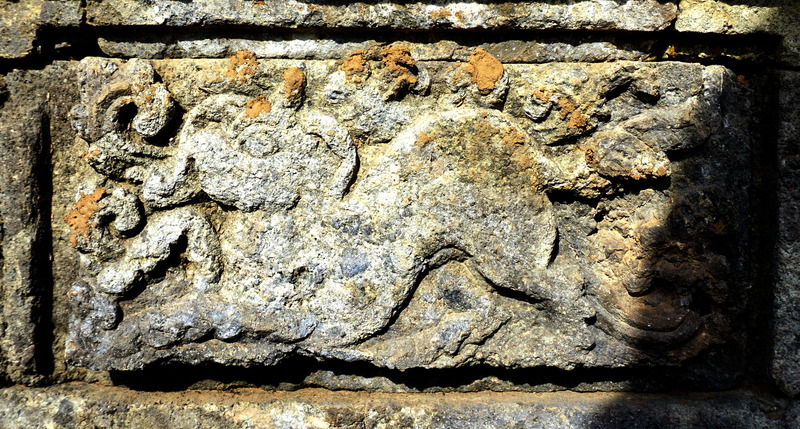 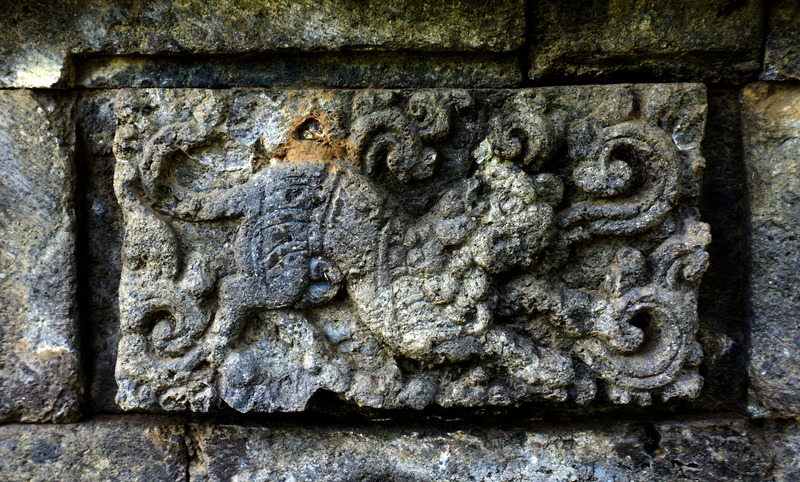 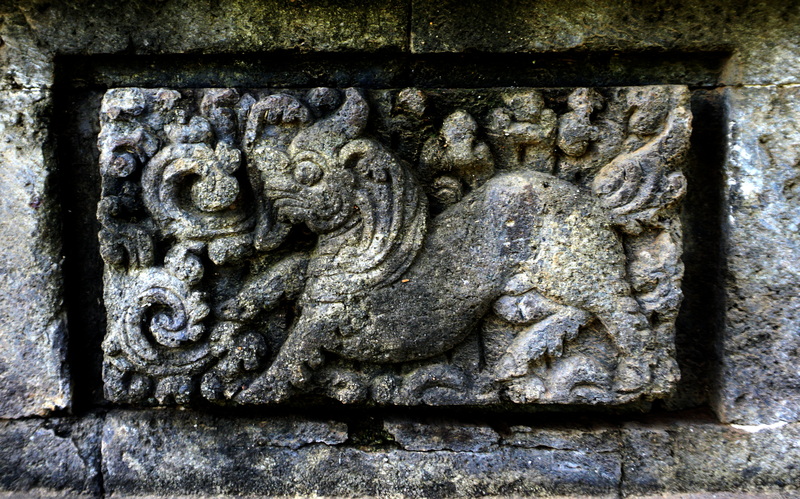 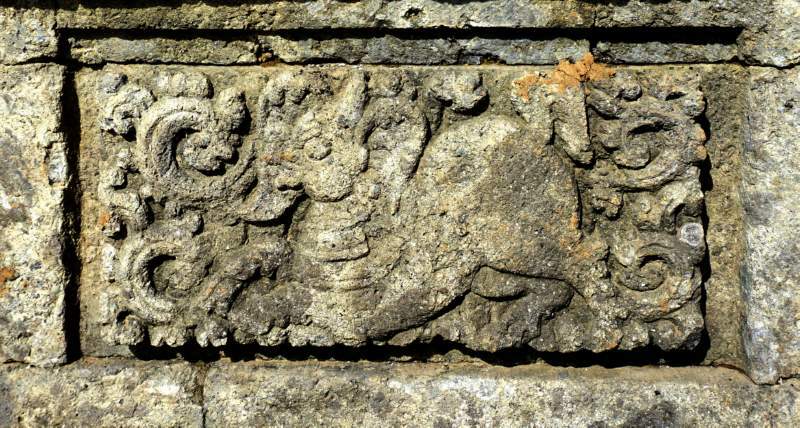 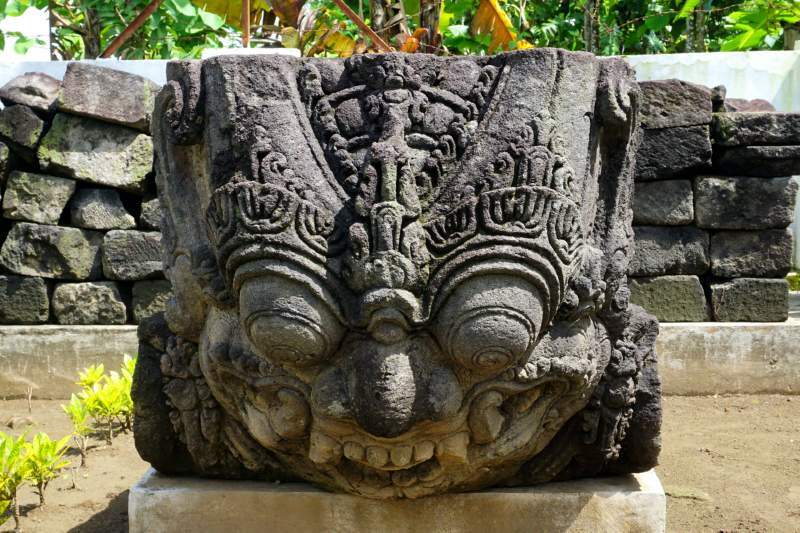 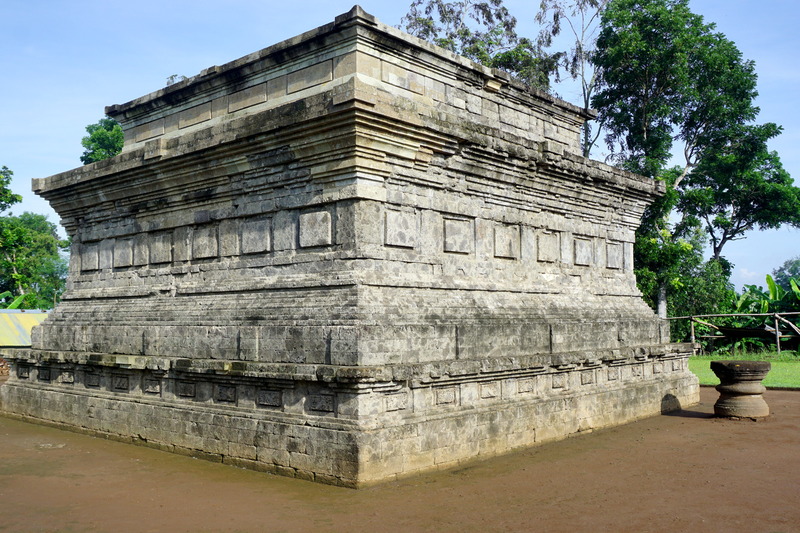 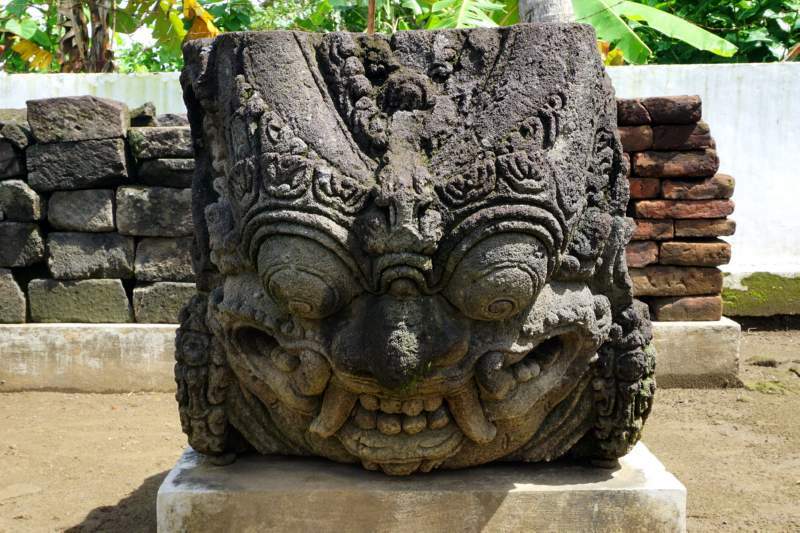 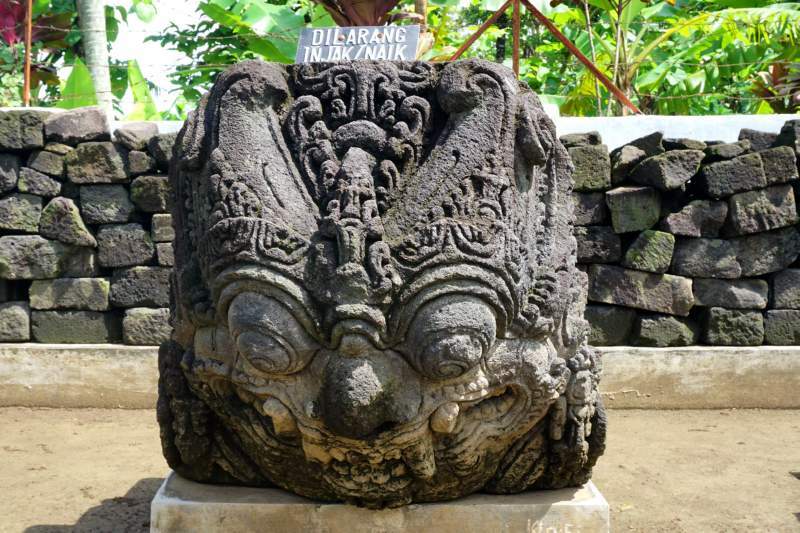 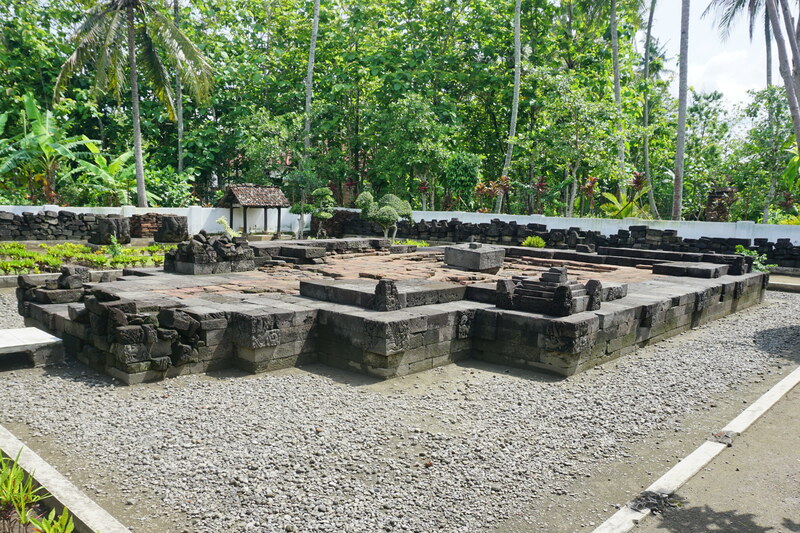 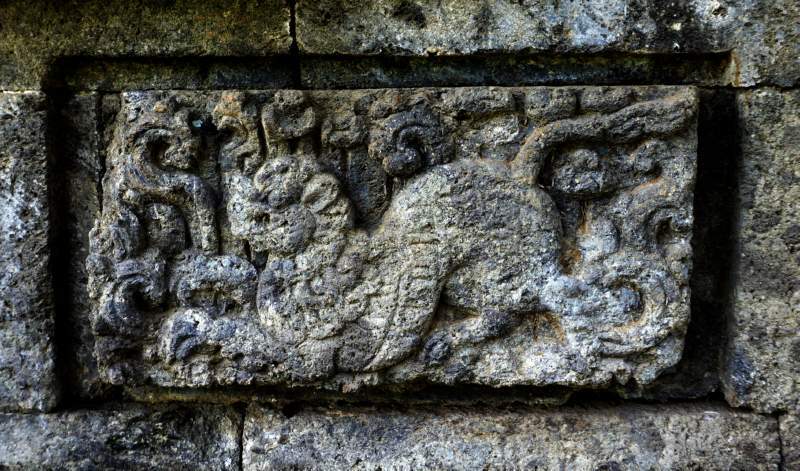 According to Nagarakertagama the King Reden Wijaya (Krtarajasa Jayawardhana), the founder of Majapahit, was elevated to the role of Siva here after his death. 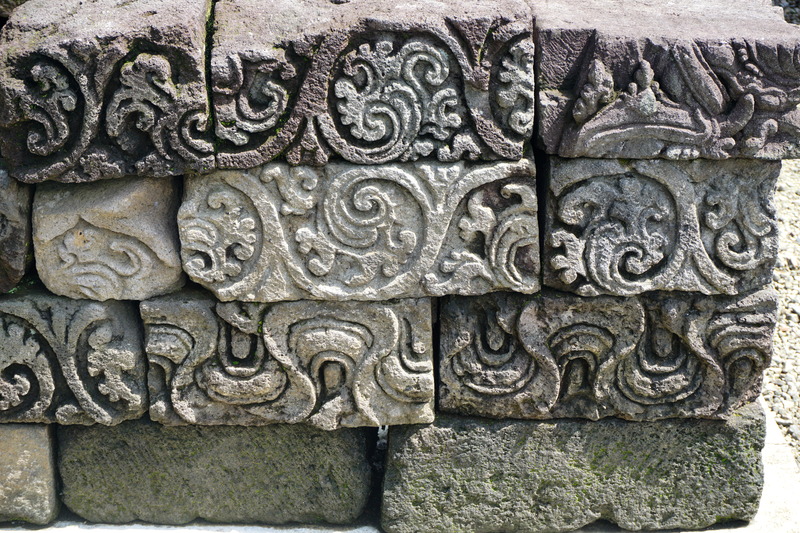 The temple featured some very good relief work and some striking kala images, which would have been above the doorways. 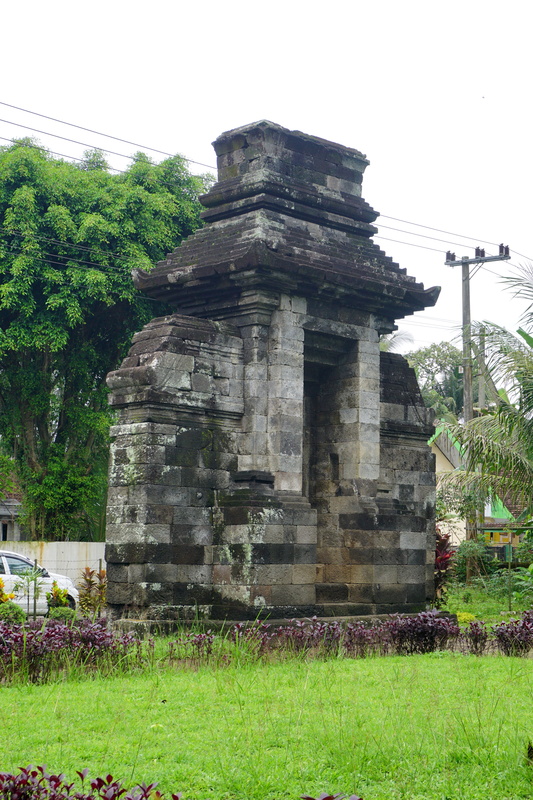 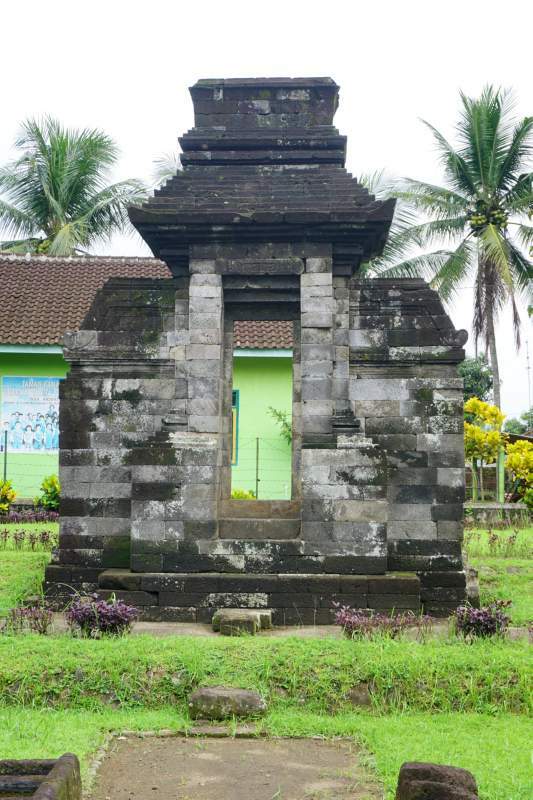 This small gateway candi is around 25km east of Blitar. 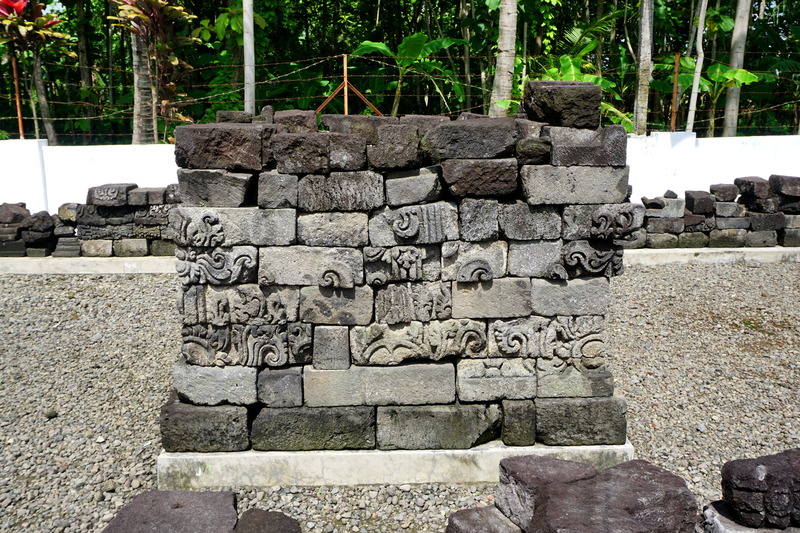 It is made of andesite stone, as normal, and stands around 5m high. 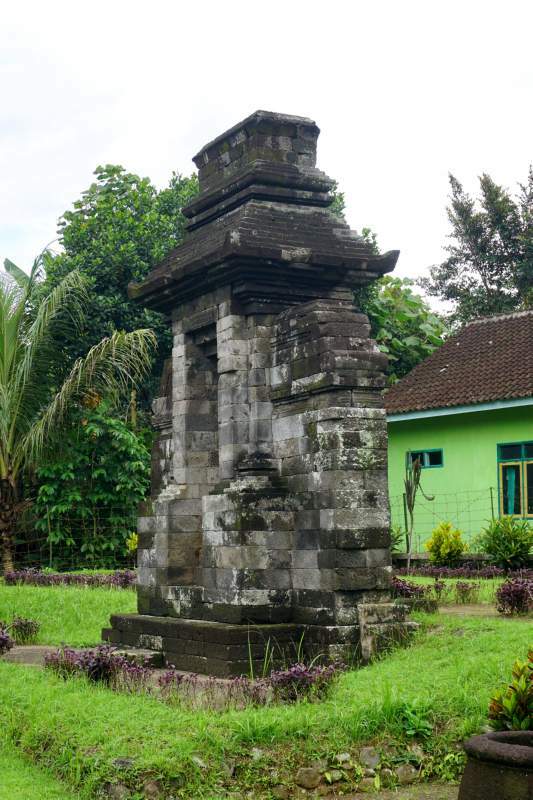 There is an inscription on the gate which gives the date 1390, which is presumably the date of construction. There is also an inscription stone nearby, but when we got there the candi was locked and we couldn't gain entry to photograph it.